Donald's pancakes smell like a better breakfast for Chip 'n' Dale than acorns. 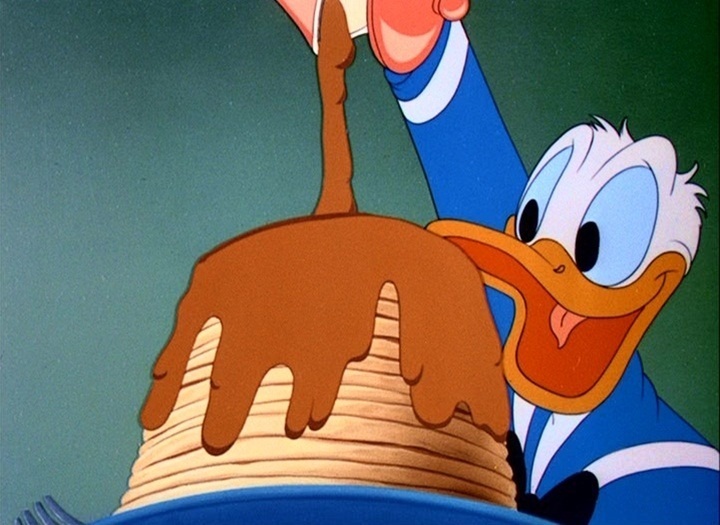 Donald tries to slip them a rubber cement pancake in return. There is a final scene, showing Donald having gone through the stovepipe on the chimney and ending up as a Chinese stereotype. 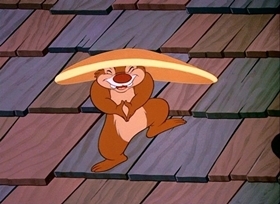 Dale then picks up a pancake and puts it on his head, mocking Donald with the same stereotype. 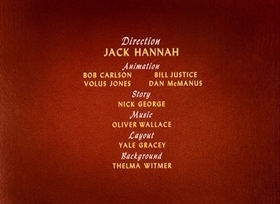 This scene has been cut from current showings of this short. 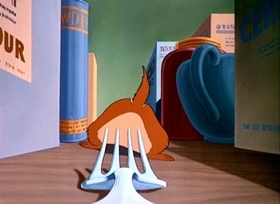 Growing up, this used to be one of my favorite Disney shorts. 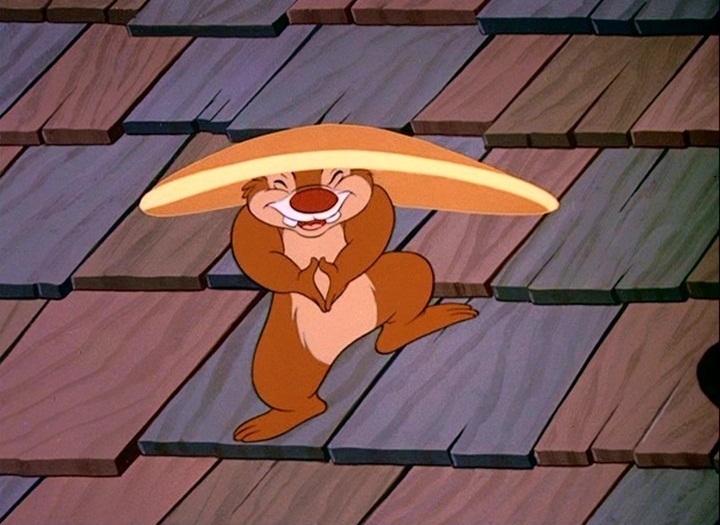 My favorite part was the ending, with Donald ending up in the stovepipe while Oriental music played, and Chip and Dale mocked him. It was very funny. 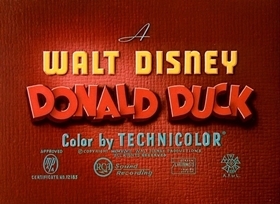 Of course it was discriminating to the Chinese, but I really miss the end of this one, it was the best part of the whole short. 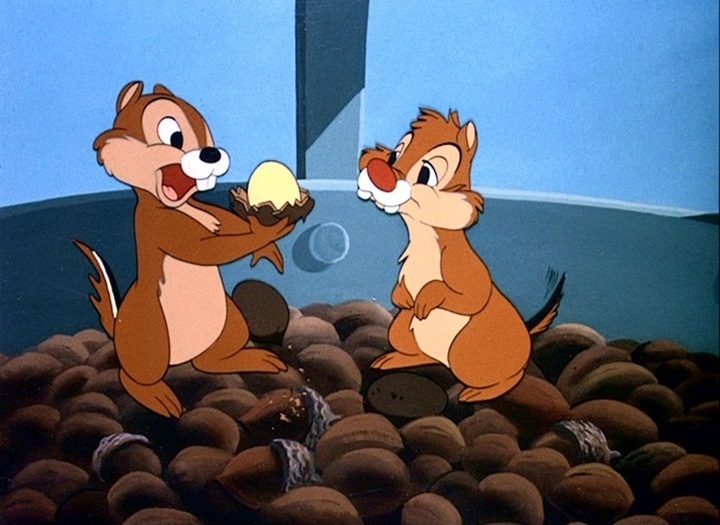 This is the best Donald Duck and Chip and Dale cartoon I have ever scene. I laugh so much when I see it. It has always been my favorite cartoon. 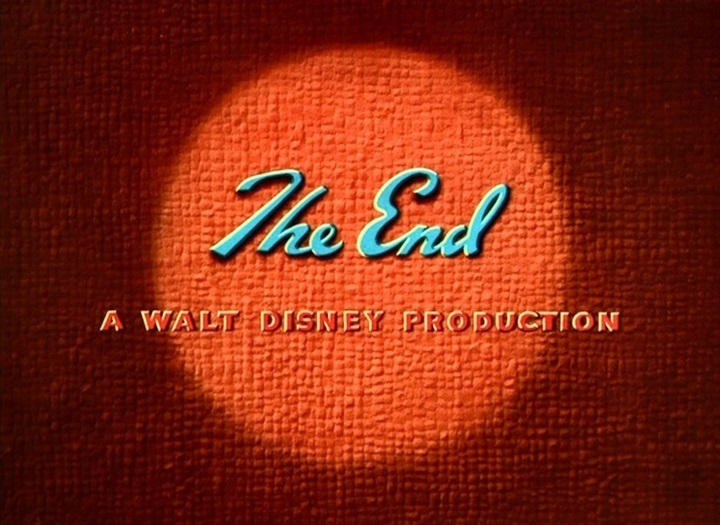 Just I do not like what the Disney Company has done to it they have cut the very end of the cartoon, and that makes me so mad. 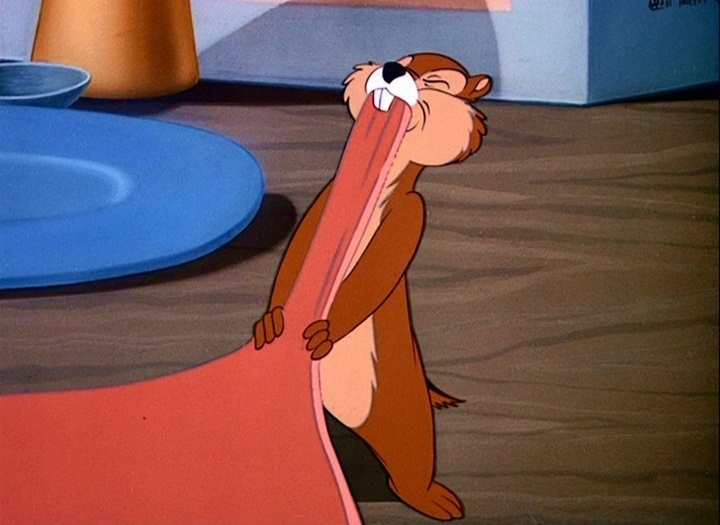 This cartoon starts with Chip n' Dale waking up on a lovely morning (Saturday, probably!) They enjoy acorns for breakfast, at least up until they smell Donald's pancakes. Now, the two troublemaking chipmunks want a few flapjacks for themselves, so they sneak into Don's house (in-between watching him putting butter and syrup on the stack), and start stealing his breakfast. 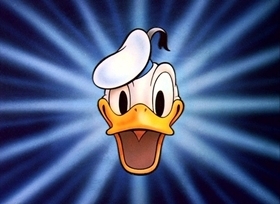 Donald sees what they are up to, and at first tries tricking them with a pot holder, and later rubber cement. 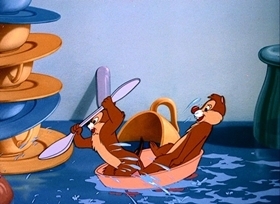 Chip n' Dale tries to take a bite out of the rubber, but later get into the usual chase with Donald. 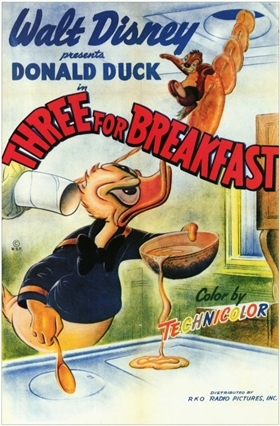 The rodents then try to get away with the duck's breakfast, but had him stretching the rubber cement all across the house. Chip n' Dale uses this to their advantage, and ... well, I don't have to tell you who's the winner here. 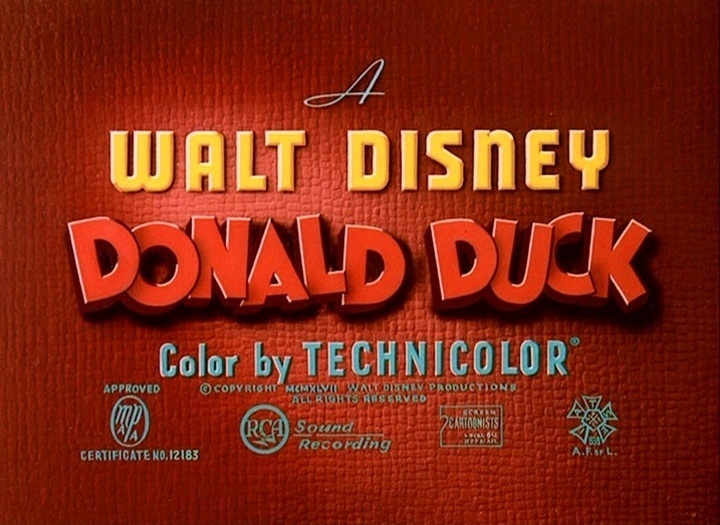 It's a shame that they don't show these on The Disney Channel anymore (at least not since it became the bloody ZOOG Disney Channel only last year! 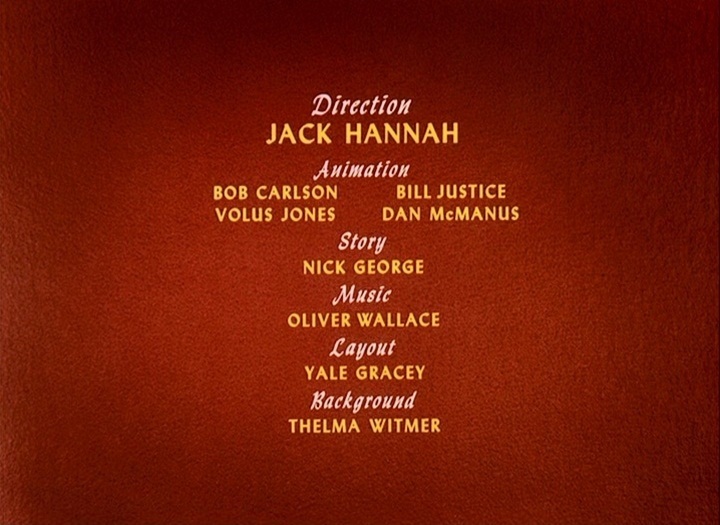 Well, I just hope more of these cartoons can be seen on DVD in the future. 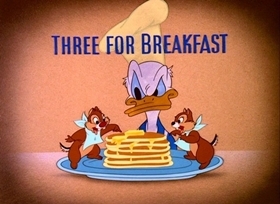 Those clever chipmunks are out to get Donald's pancakes. 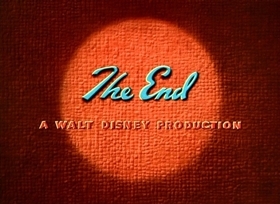 Now I know all you people out there are mad about what those Disney people at the Disney Company did to the final scene. Heck I'm mad about that myself. But they did it for a good reason. The Chinese people's feelings would be hurt. And just think, if that scene was not snipped out that short would be banned from the Disney Channel and we would not get to see it at all. 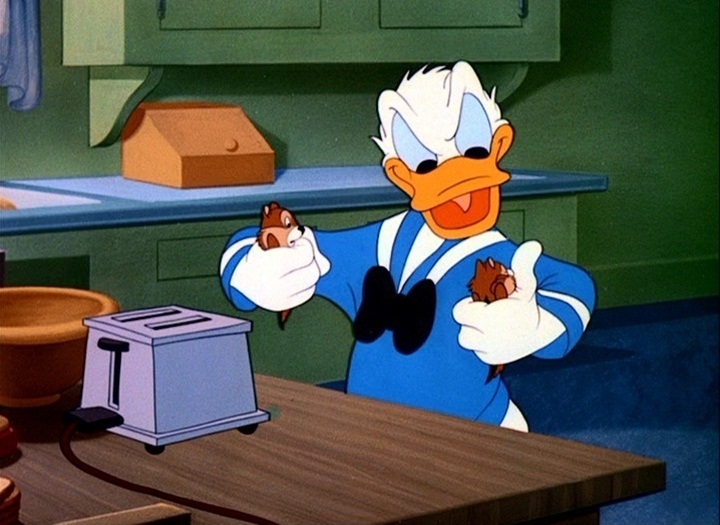 Okay, one more thing if you want to see the final scene of this short go to the video store that's close to you and get "Chip n Dale with Donald Duck." 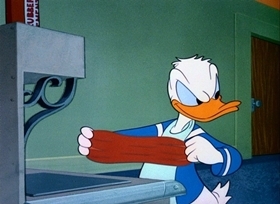 This was one of my favorite cartoons growing up, this along with Donald Applecore. 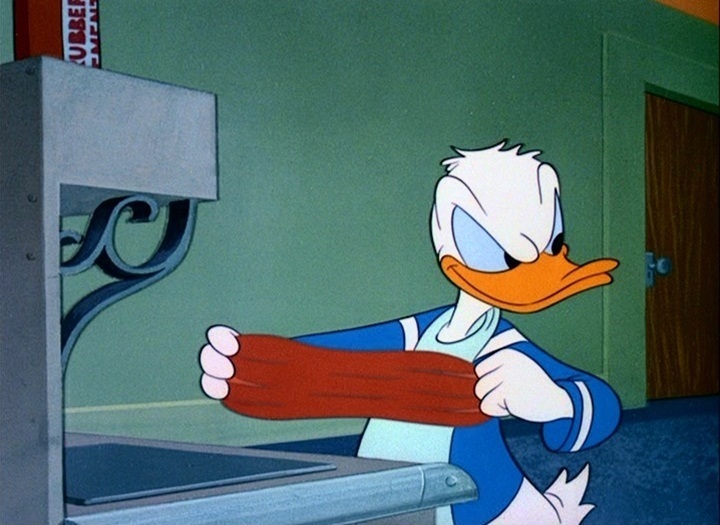 The final scene where Donald goes through the chimney pipe is so hilarious, and I was anxious to see whether or not it was cut from the new Classic Cartoon Favorites DVD of Chip 'n' Dale. Guess what.. it's in there! I was so excited! 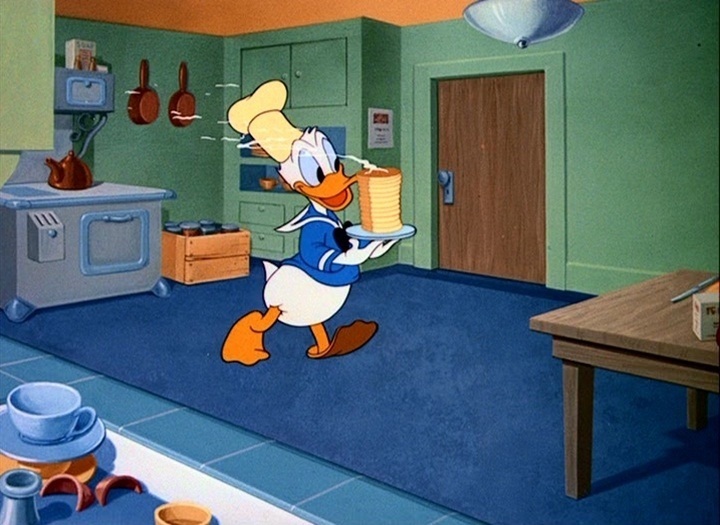 At the end of this cartoon, Donald falls off the roof of his hoouse and Goofy's yodeling holler is heard. In All in a Nutshell, Goofy's holler is heard again when Chip and Dale blasts Donald out of a log and he falls down in water. This is one of Chip 'n' Dale's best cartoons. The end scene was always one of the funniest parts. It's upsetting it's been cut out at times. 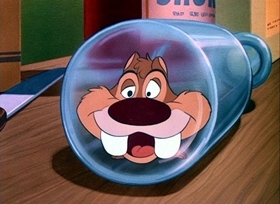 Another scene I always found funny was when Dale ended up in the jar, and does that goofy smile to Chip. It still makes me laugh today.